We focus in many areas, including Department of Defense, U.S. Armed Forces, retail, technology, and local/federal government. Our deep expertise in technology, engineering, and analytics helps us serve a broad constituency of clients, ranging from cabinet-level departments of the U.S. government to corporations, institutions, and organizations. These clients face a wide range of complex and pressing challenges such as combating global terrorism, improving cyber capabilities, transforming the healthcare system, and protecting the environment. To address these challenges, ASI's approach is that of a trusted and long-term partner. We deliver objective, trusted advice to our clients via expert analysis rooted in deep domain knowledge and functional expertise. Our collaborative culture also helps ensure the delivery of highly responsive services to clients who must respond to emerging trends and evolving missions. Throughout our contract engagements, our people work to develop a holistic understanding of the issues and challenges facing our clients. These insights are gathered and analyzed so that we can ensure our advice helps our clients achieve results that endure. What makes our approach unique in our industry is that our solutions are aimed towards the collection of usable data, and not just the digitization of paper. Some similar services offered by our competitors focus on transfer of media from paper to tablet, but retain most of the fundamental limitations of paper process, especially along in the area of data collection. The Process GuideTM (PGTM) is a comprehensive solution in the area of the collection and utilization of critical data - we do more than digitize your process, we allow you to collect critical data and make substantial improvements in your immediate operations as well as your long term business intelligence. 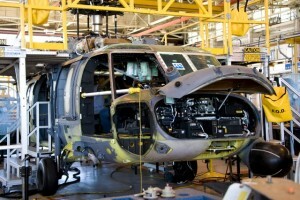 The PaveHawk PDM (Programmed Depot Maintenance) is an extensive overhaul process. 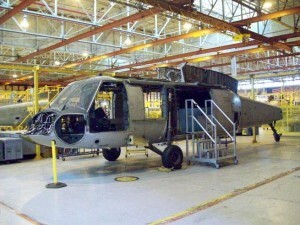 Because of the extensive combat usage and operating conditions, no two PaveHawks ever received the same PDM with overhaul often being as much as 25% unique per system. This required extensive inspections to be performed to ensure proper repair. 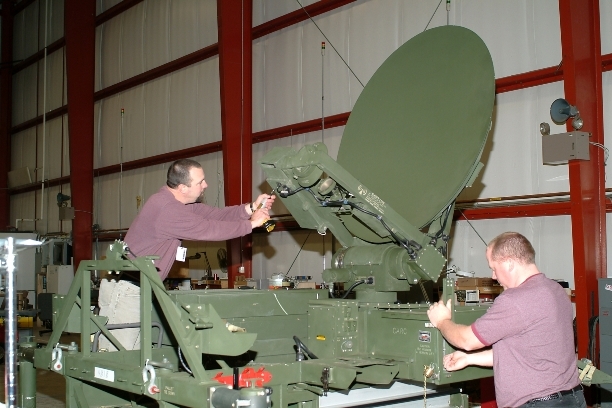 Many of these inspection could not be performed until the system had been dis-assembled requiring many unique inspections located throughout the PDM flow. Due to attrition and unique combat usage, it was extremely difficult to train personnel to ensure proper inspections thus repairs were made. The Process GuideTM (PGTM) was utilized to thoroughly document the inspections utilizing TO's (Technical Orders) and learned head knowledge to ensure proper inspections during the first pass without costly rework repairs. The standard documented discrepancies were also linked to repair packages vastly reducing re-analysis type for determining proper repairs. The PGTM implementation reduced rework 47% while reducing overall flow PDM flow days by 20. 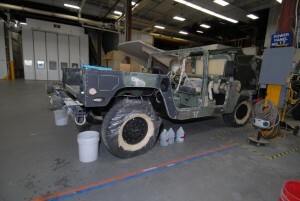 The HMMWV PDM (Programmed Depot Maintenance) line was unique because unlike traditional PDM where systems are worked one at a time, the HMMWV line was a true assembly line process churning out 26 systems a day during its peak. This required quick inspection processes with virtually zero rework to be successful. The Process GuideTM (PGTM) was utilized to provide easily understood processes with minimal training. This enabled personnel to be easily shuffled between areas without impacting quality. 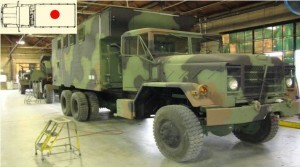 Upon implementation the HMMWV was at 14 systems a day. With continued PGTM usage the final peak of 26 systems a day was reached with less than 3% QDR (Quality Deficiency Reports). The 5-ton and FMTV were lower volume, but came with many different variation of the same system. Within the 5-ton there were four primary variation including Cargo Truck, Cargo Truck W/Winch, XLWB Truck, Tractor, and Medium Wrecker. Sixty percent commonality of parts - same engines, transmissions, drivelines, power trains, tires, cabs with significant variation based on platform. Within FMTV there were 14 variations including 2.5-ton cargo and van models and 5-ton cargo, tractor, van, wrecker, tanker and dump-truck models. Eighty percent commonality of parts - same engines, transmissions, drivelines, power trains, tires, cabs but based on variation significant distinct characteristics that had to be inspected/verified. Because of the many variation it was difficult to train personnel for the unique inspections / repairs. The Process GuideTM (PGTM) was utilized to ensure proper inspection/repair across all variations. Before implementation rework was at 42% and decreased to less than 6%. Training time was decreased almost 90%. 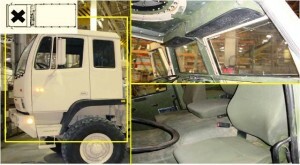 Because maintenance was warrantee, unique serial numbers and RFID codes on critical parts were also captured for each system. Because these systems are work horses and have a long service time, the units often utilized the warranty process to obtain parts for older systems. Upon PGTM usage it was quick and easy to validate parts to a specific system virtually eliminating warranty complaints. 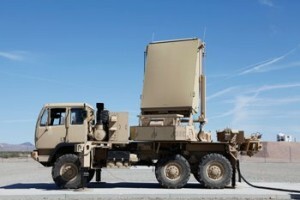 The Fire Finder radar system is an older system requiring significant upgrades to remain functional. While some upgrades were mechanical like most electronic systems, most were electronic requiring boards to be serviced, repaired, upgraded or even replaced. Much of the system still relies on older technology without the diagnostics of more advanced equipment. While technical data was available diagnosing the issue was often much difficult than the repair rendering it only partially useful. The Process GuideTM (PGTM) was implemented within the electrical discrepancies to properly standardized issues and correct actions enabling prognostics to be utilized within repair. As much historical data as possible was standardized and deployed within the PGTM. Additional data was added as new issues were identified. Upon implementation of PGTM diagnostic time was reduced 65% and rework further reduced 41%. 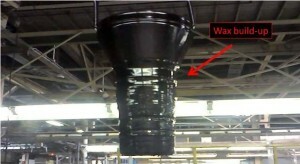 This reduced the overall flow days for complete repair by almost 12 days. 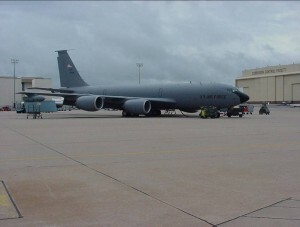 The C/KC-135 is extensively overhauled every five years as part of its PDM (Programmed Depot Maintenance) cycle. 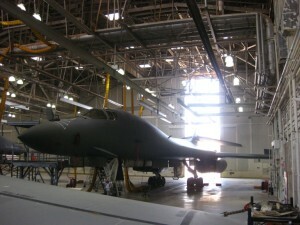 Once overhauled the aircraft is returned to its squadron, where personnel familiar with the original aircraft review the overhaul and ensures its meets full compliance. The QDR (Quality Deficiency Reports) are compiled which often requires considerable time to open panels and bays, and the depot either corrects any issues or explains why the repair/upgrade was not completed. 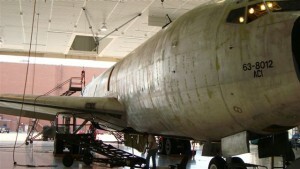 The QDR process often took 30-45 days to complete during which time the aircraft could not be placed back into service. The team spirit program was enacted to enable the crew to view the aircraft before its final assembly while still at depot. The crew verified repairs/upgrades without having to take the time to remove panels, etc. Because many crews did not understand the PDM scope, the Process GuideTM (PGTM) was utilzed. PGTM enabled the crew to follow the PDM scope utilizing visual work cards and electronically document any findings. The original paper based Team Spirit took eight working days. Utilizing PGTM and its visual work cards flow, the Team Spirit was reduced to just 2.5 days. QDR's were also reduced 80% and aircraft induction days decreased from an average of 37.5 days to 7 days. This greatly increased AA (Aircraft Availability). 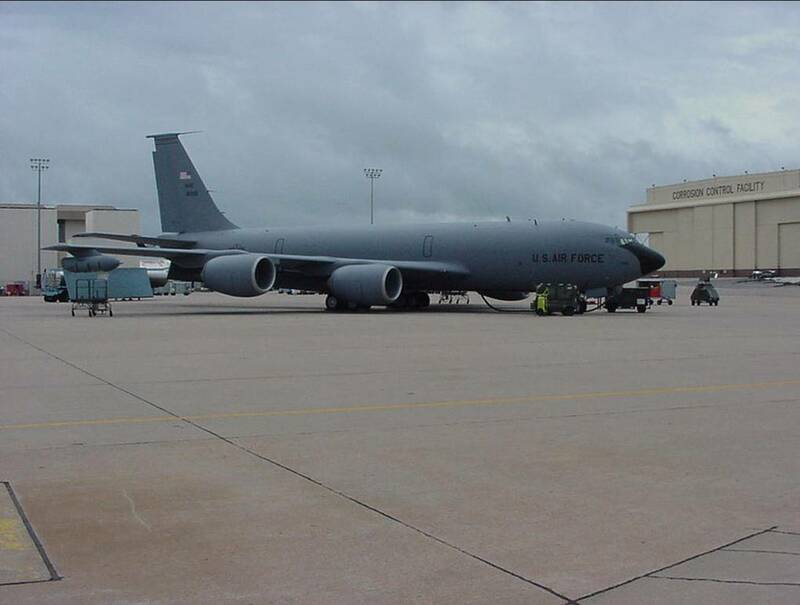 The PDM (Programmed Depot Maintenance) cycle for the C/KC-135 is an extensive overhaul process where set repairs/upgrades are performed on every aircraft. Because of age and usage, there are often addition repairs required to ensure the aircraft's full operational status. 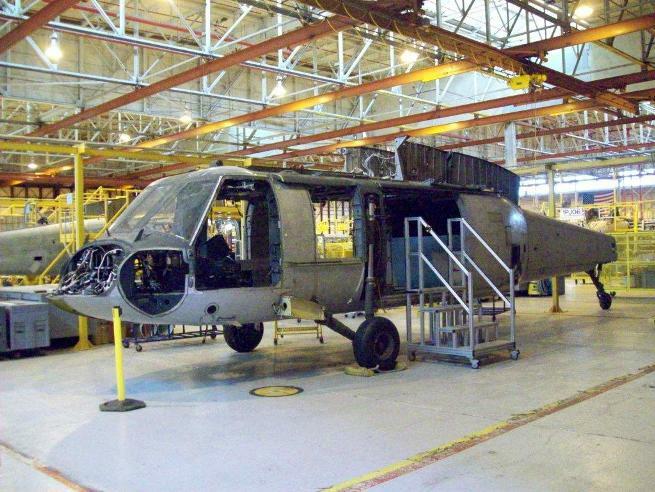 The vast majority of these inspections are performed within the IDock (Inspection Dock) once the aircraft has been disassembled and stripped to provide access to areas and enabling structural discrepancies analysis not hidden by paint. 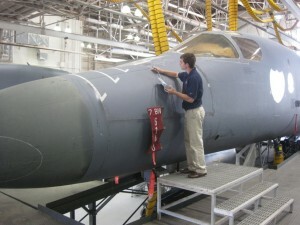 The IDock inspection is very extensive and requires a high level working knowledge of the aircraft. Because of attrition (retirements and transfers), the Process GuideTM (PGTM) was utilized to assist less experienced personnel to perform the inspection without impacting quality. Originally many of the IDock personnel had over 20 years experience with the system. The newer personnel often had less than 5 years experience. Utilizing PGTM the new personnel were able to perform the inspections without impacting quality. The digital discrepancies also reduced inspection times 25% since no redundant data entry was required. This enabled IDock flow time to be decreased by 3 days per aircraft while improving quality and virtually eliminating downstream findings that impacted delivery dates. These results were independently verified through CTMA (Commercial Technologies for Maintenance Activities). As part of the PDM (Programmed Depot Maintenance) cycle, every aircraft is requi red to perform a flight test where systems are verified 100% operational. The FCF (Functional Check Flight) tests are performed first on the ground, and if passed, during flight. 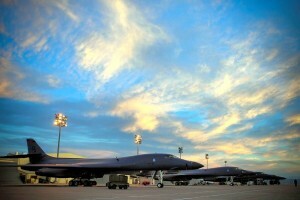 The program was reimbursed for 1.6 test flights (costly thousands in fuel and maintenance time). While it was expected some would fail, the program was expected to have a high first pass success rate. Because of the age and wide usage for the aircraft, the original FCF often failed first pass. The Process GuideTM (PGTM) was utilized to compile a detailed set of both ground checks and pre-flight checks to minimize in-flight findings (some things can only be checked in the air). PGTM visual work cards and head knowledge ensured regardless of the personnel's experience, the aircraft was properly inspected and maintenance performed before flight. Originally the FCF first pass was only 8%. Upon implementation of PGTM first pass success increased to 52% of aircraft and continues to improve as additional data and findings are incorporated. 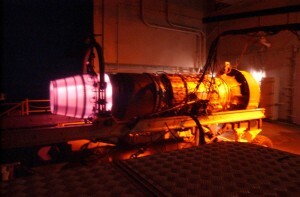 Air Force engines require overhaul based on hours and specific use parameters. This requires an extensive disassembly and rebuild. 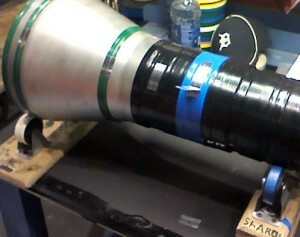 Because many of the parts cannot be economically purchased or no longer even exist, many of the items are refurbished. The refurbishment takes many forms, but the masking and plating processes are the most complex requiring detailed knowledge of both masking and plating processes. If the parts are improperly masked and plated, it can result in the part being scrapped (often costing many thousands of dollars), or the part to be re-processed which leads to long lead-times impacting delivery dates. 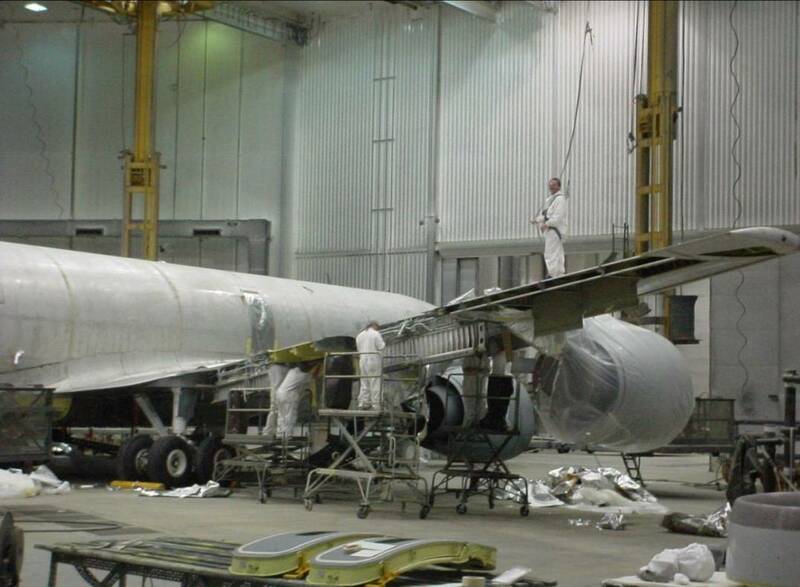 Because of usage and the long service cycle for many of the engines, many of the personnel were unfamiliar with proper masking and plating processes for specific parts resulting in large scrape costs and long repair lead times due to the part being reworked numerous times. The Process GuideTM (PGTM) visual work card technology was implemented for many of the more difficult parts or less familiar parts that required masking. The visual guide included direct links to required Technical Orders (T.O. 's) enabling technicians to perform the masking faster and with virtually no mistakes. This reduced the scrape rate almost 90% and reduced repair lead-time 48%. It also reduced new employee training 72%. As part of the engine overhaul process, every engine is placed within a test cell to ensure it is properly functioning. This requires a four hour setup, four hour run cycle, and a four hour tear down. If the engine does not properly function and removed, the entire twelve hour cycle must be repeated. This obviously serves as a tremendous bottleneck when problems occur. Like many DOD areas test cell has suffered high attrition rates due to retirements. The Process GuideTM (PGTM) was utilized to document discrepancies and to capture their corrective actions. As data was captured lesser experienced personnel could log a discrepancy into PGTM, and utilize the prognostic capabilities of the technology to identify the most common causes for the error code or failure. Many of these issues could be repaired while still within test cell eliminating the long tear down, and recycle of the engine. Before implementation the F-101 engine line was processing eight engines a month. Upon implementation the number has climbed to 17/month and continues to grow as additional data is captured and continuous improvements are made to the process. These results were independently verified through CTMA (Commercial Technologies for Maintenance Activities). The MOB's (Mobile Operating Bases) and FOB's (Forward Operating Bases) are the operational centers for the aircraft. 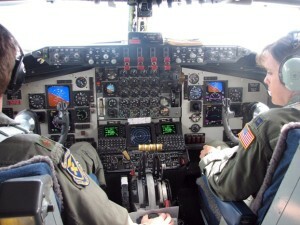 These locations perform the training flights and often deploy to serve the operational roles of the aircraft. Without sacrificing safety the goals of these centers are AA (Aircraft Availability) focused ensuring aircraft are ready to complete their mission needs. The SPO (System Program Offices) supports these mission goals by providing engineering support. The MOB's and SPO have the same ultimate goal which is to ensure high AA rates; however, the requirements for each to support that goal greatly vary. The MOB's work extremely hard to do whatever it takes to safely fly the aircraft. This often results in quick turn-around repairs and shuffling of parts when needed. While all procedures are followed, the data captured is often non-standard and lacks sufficient detail to enable the SPO to utilize it for future repairs, or fleet wide trend analysis. The result is the fleet is often re-active to issues instead of pro-actively managing issues leading to lower long term AA rates. The challenge is how to capture the data without burdening maintenance personnel. The SPO utilized the Process GuideTM (PGTM) to electronically capture the discrepancies (100% standardization). Once the personnel were comfortable with the technology, the inspection/repair times actually decreased and the SPO received sufficient data to enable more pro-active analysis. To date the MOB's are utilizing PGTM within the HSC (Home Station Checks) with ISO (Isochronal) being setup for deployment within the next year. While the HSC is not a complicated inspection, attrition is a significant concern so proper management is a requirement. The longer term impacts of accurate, complete data are far reaching.